I thought I’d just skip Spinday this week. After all, we rode bikes yesterday, which is part of my Spinday, and the local weaver’s and spinner’s guild show is next weekend. I’ve vowed to have my wheel free and clear so that I can immediately start on something from the guild show. 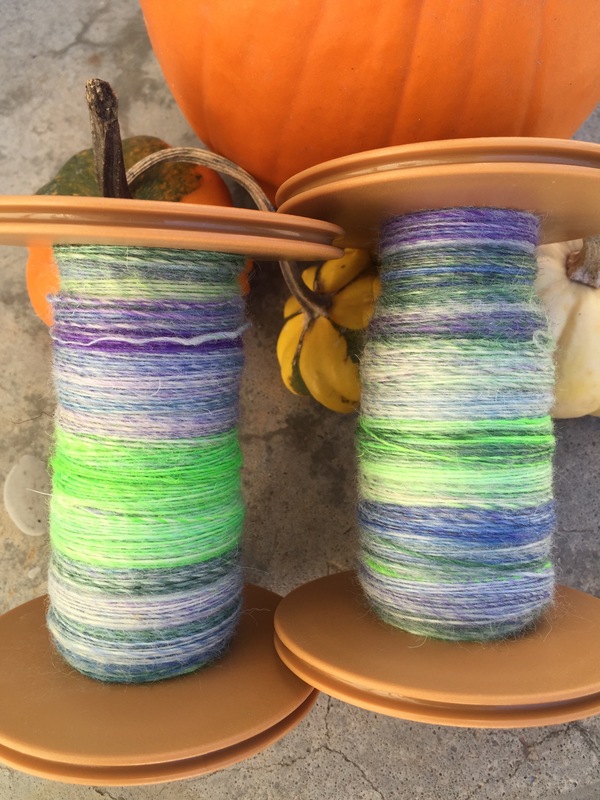 But, then I got to thinking about my averaging a skein of handspun a week lately, and I LOVE that average. So I pulled out more of my own hand dyed BFL. Here’s the thing. 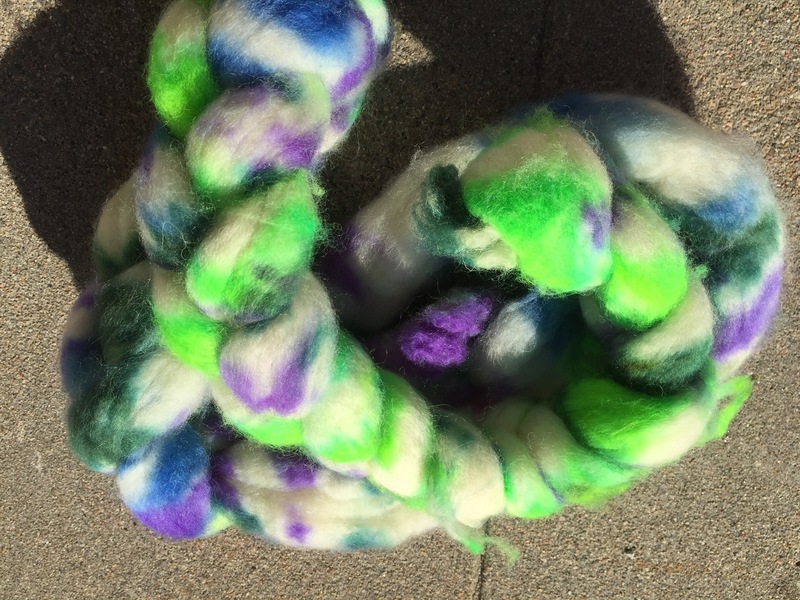 I dye yarn and fiber and have done so quite a bit. But I almost never like what I dye. It’s silly. I don’t even know why I dye! And then, after marinading in my stash for a long time, I might grow to like a thing I dyed. Not so with this braid though. I’ve hated it right from the start. It’s not going to change. So, I decided it’s just time to turn that braid into yarn, just to see if I can grow to like it. I split it up into short color runs in anticipation of a traditional 3 ply. Hopefully mixing those colors up will help me grow to like the yarn. We’ll see. Jury’s still out, but at least I can see potential now. We are having another absolutely lovely weekend in this area. Sunny and not cold. It might be the last (though I’ve been saying that for weeks) so we are going to use the time to clean up the yard, clean out the garages, and winterize around the property. I hope that wherever you are, your weekend is going as nicely!